Production 'A' - Up to 1000cc FWD and 1100cc RWD. OHV or OHC as homologation list. No Previa/MPV's. No Imperials / large 4x4's / Station wagon type vehicles (even if they are 2 wheel drive). If in doubt - phone to check. ALL Bangers must book in for HMC 2019 on 6th January. From November 5th anyone who has who has an Unders Classic, Under 2Litre or Unlimited car can book in. 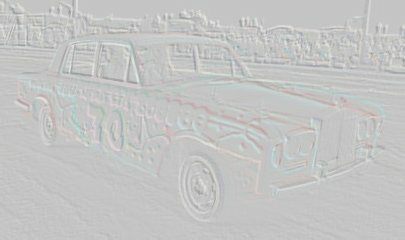 In keeping with the spirit of HMC new racers will stand more chance of a booking if they have a Classic or Unlimited car. 2018 Standlake Points Championship: All meetings from 18th February - 18th November inclusive. 2018 Full Attendance awards: 12th February - 2nd December inclusive. FEBRUARY 4th - Registration day at the track - 11am to 3pm. FEBRUARY 18th - Season Opener, Street Bangers up to 1800cc. Unlimited & Micro National Bangers. APRIL 2nd (Bank Holiday Monday) - Street Bangers up to 1800cc racing in Teams of four. APRIL 15th - England v Wales Challenge cancelled. This meeting is now for two classes of National Bangers 2litre (No Mondeo or cougars) and Micro Bangers and is open for anyone to race at, no need to book in. MAY 7th (Bank Holiday Monday) - Street Bangers up to 1800cc Fun Day with various fun races. MAY 20th - National Micro Banger Spring Open. Ladies Street Bangers up to 1800cc Fun Day round 3. Drift Cars/Super Drift Cars and all other classes except no Hot Rods. Caravans by booking in only. Drift Cars/Super Drift Cars and all other classes except no Hot Rods. JULY 8th - Mike Hook Memorial - Unlimited National Bangers plus Micro Bangers. All other classes including except no Hot Rods. Open Championship for Juniors and F2 Stox. AUGUST 19th - Trigger Memorial Unlimited National Bangers plus Street Bangers up to 1800cc. AUGUST 27th (Bank Holiday Monday) - Big Van National Bangers plus Street Bangers up to 1800cc. OCTOBER 14th - Street Bangers up to 1800cc, Open Championship. £1000 Prize Money. The only other classes racing at this meeting will be Juniors and Drift Rods. OCTOBER 21st - Street Bangers up to 1800cc. Open Championship for Prod A, 1600 Prod Rods and Drift Rods. Hot Rods and F2 Stox both racing. NOVEMBER 18th - Street Bangers up to 1800cc + Ladies Street Bangers / Mixed Pairs Bangers. Extra date for the Ladies so no points for the Ladies only. All other classes except Hot Rods. Final Championship points meeting for all classes. 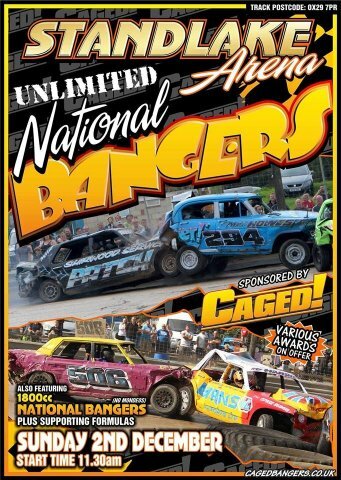 DECEMBER 2nd - Caged sponsored Bangers, featuring Unlimiteds and Under 1800cc (no Mondeo's) National Bangers. JANUARY 6th 2019 - Heavy Metal Classic, National Bangers - Under 2litre Classics, Under 2litre (no Mondeo/Cougar), Unlimiteds and a limited number of Micro Bangers depending on available space.